What is Journal-ish? Hosted by Tamara Ford, it's an audio journal podcast with a little bit of everything. My personal thoughts on current events, pop culture, planning and organizing, fitness and health, travel, the occasional adult beverage, pretty much my life in general. This is my safe space to talk about whatever my mood ... See More dictates. This pod is delivered to you in an informal chill style. After all, it's just me and you here. 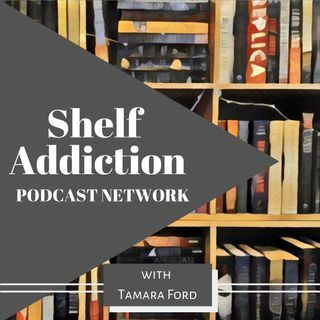 The Shelf Addiction Podcast Network presents The Pop Culture Pod. A bi-weekly show where Tamara and Lisa discuss all things pop culture! Expect a mix of movie reviews, TV show commentary and recommendations. We even cover some "hot" topics going in the world. We'll let you know what's worth watching with a funny and ... See More thoughtful conversation! Castle Rock is an American psychological horror web television series based on ... See More characters and settings from the stories of Stephen King that premiered on July 25, 2018 on Hulu. The series, created by Sam Shaw and Dustin Thomason and starring André Holland, Melanie Lynskey, Bill Skarsgård, Jane Levy, and Sissy Spacek, intertwines characters and themes from the fictional town of Castle Rock, Maine. Based on the comic book series written by Robert Kirkman, this gritty drama ... See More portrays life in the months and years that follow a zombie apocalypse. Younger is an American comedy-drama television series created and produced by Darren Star, based on the 2005 ... See More novel of the same name by Pamela Redmond Satran. The single-camera series stars Sutton Foster as the lead character, with Hilary Duff, Debi Mazar, Miriam Shor, Nico Tortorella, Molly Bernard, Peter Hermann, and Charles Michael Davis co-starring in major roles. The series premiered on March 31, 2015, on TV Land and received generally positive reviews from critics.